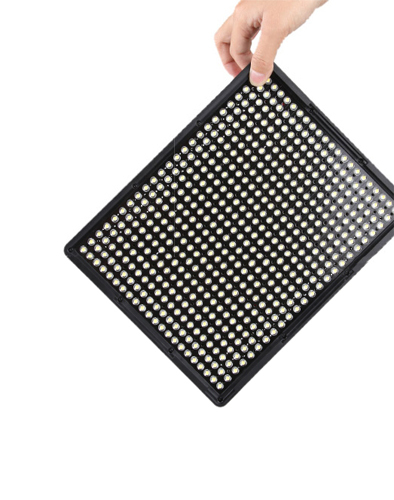 With the lamp beads fully upgraded from CRI88 to CRI95+, the Amaran 528C LED video light produces a faithful natural output, and a very high color rendering level. 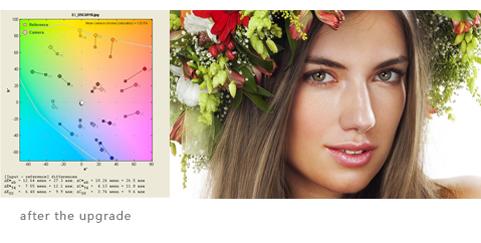 Color reproduction performance is nearly perfect with the CRI95+. The Amaran 528C led provides stable video light, working as long as 100,000 hours. 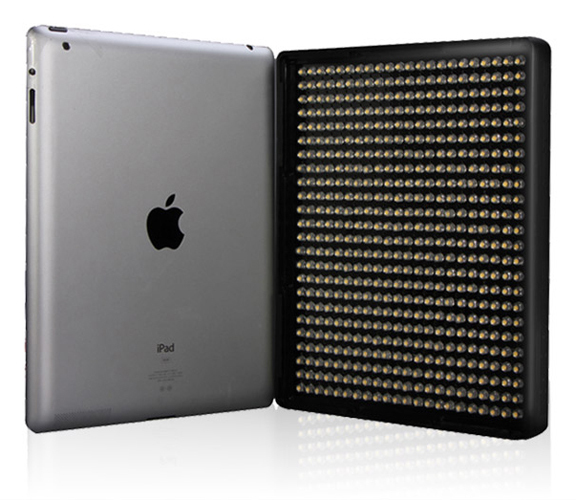 Amaran 528C has 528 LED bulbs packed into a compact design that is the same size as an iPad. It's an LED light that doesn't sacrifice power for portability.Exquisite design in an iPad size, simple and elegant appearance, the Amaran 528 is easy to carry and smart in hand. Only 3.2cm thickness, it takes little space to carry on several lamps together. Your faithful choice when shooting outside! The Amaran's LED bulbs are not only high quality,they're also eco-friendly. By using PWM technology to decrease power consumption, they boast a lifespan of over 100,000 hours! The Amaran 528C contains both 3200K and 5500K color temperature bulbs. Choose between tungsten or daylight-balanced light, or choose any color temperature in between by rotating the Color Temperature Adjustment Wheel. 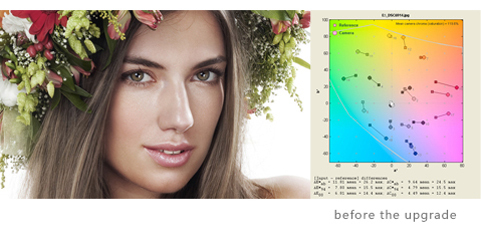 Freely rotate the brightness wheel to adjust the Amaran 528C's intensity. An adjacent LCD screen displays the power of your light for precision and accuracy while shooting. It is convenient for you to memorize the brightness value when going on working again after its stop. The Amaran 528C can be powered in two ways: an AC adapter or two lithium batteries. The two methods of power can also be used simultaneously so you can charge your batteries while using your light. 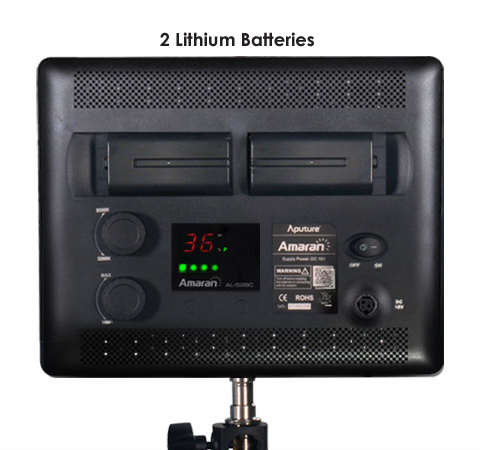 Rechargeable lithium batteries are commonly used (Sony F/FM/QM Series) and are easy to find and replace. The Amaran 528C is only 3.2cm thick, significantly thinner than other LED lights in the market. 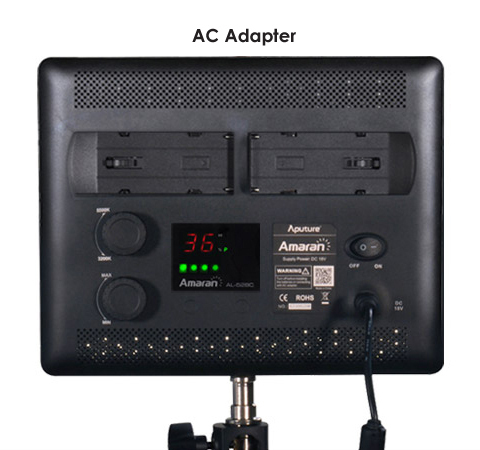 Included with the Amaran 528C is a convenient case for your light and all of its accessories, such as filters, lamp bracket and the AC adapter. 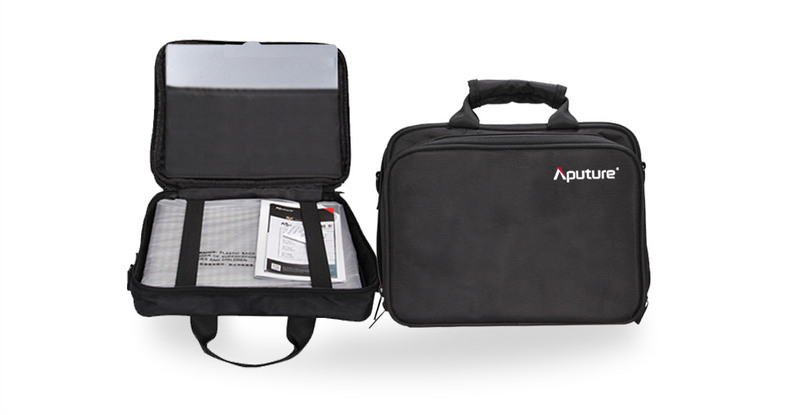 The compact design makes it perfect for shooting on the run and for outdoor shoots.